Lunch With My New Friends From #Guelph’s @COHGuelph Today! We talked about the Guelph Storm, Harry Potter, what I like best about our city, transit, making our own food, our downtown, music, how our city is growing and coming to city hall for a tour! What a fantastic lunch! They had their menu for today saying the mayor was coming! I took a tour of their space and it’s huge! 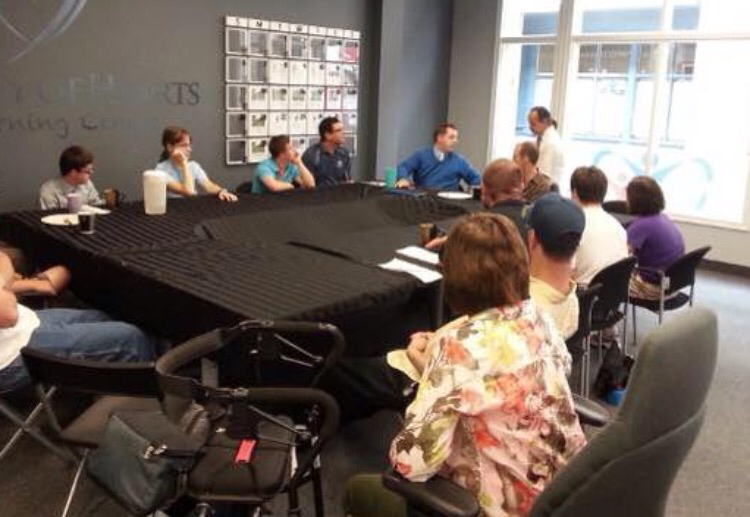 A large welcome area, office space, arts space, a workout room and a very large kitchen! They make all their own food from scratch! It was delicious! I made such wonderful new friends and will never forget how kind and honoured I was to be there today! 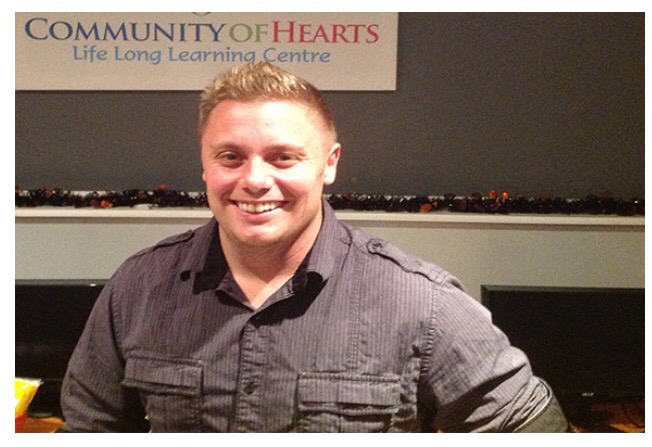 So what is Community of Hearts? 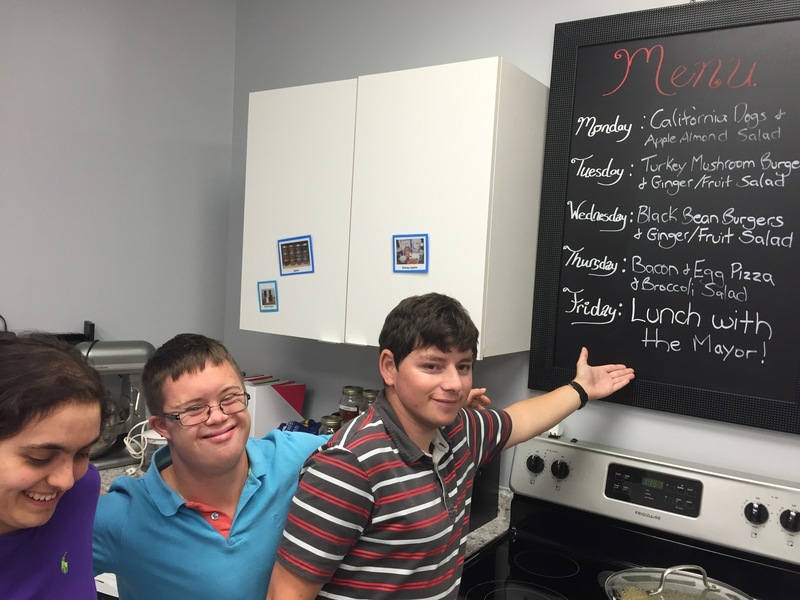 With increased wait lists for individuals with intellectual disabilities to attend day programs, summer programs and social events, three devoted individuals decided to create an organization that provides opportunities to individuals with disabilities. Susan Wahlroth, a mother of a 23- year -old man with Down syndrome, Jason Dudgeon an Educational Assistant and Andrea Kretz a Special Education teacher decided to take the steps towards creating change in the growing community of Guelph, Ontario. 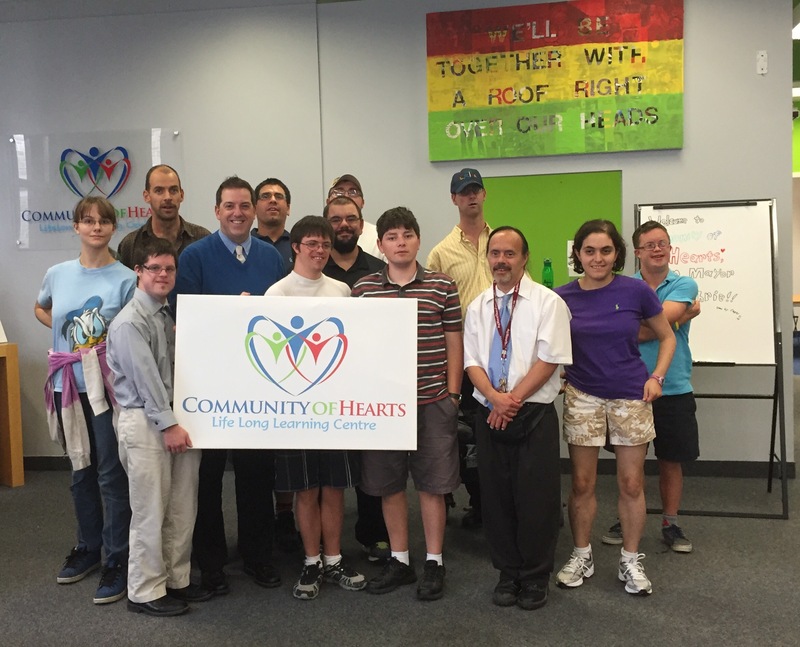 Community of Hearts is a Not-For-Profit Organization created to better service individuals with intellectual disabilities. 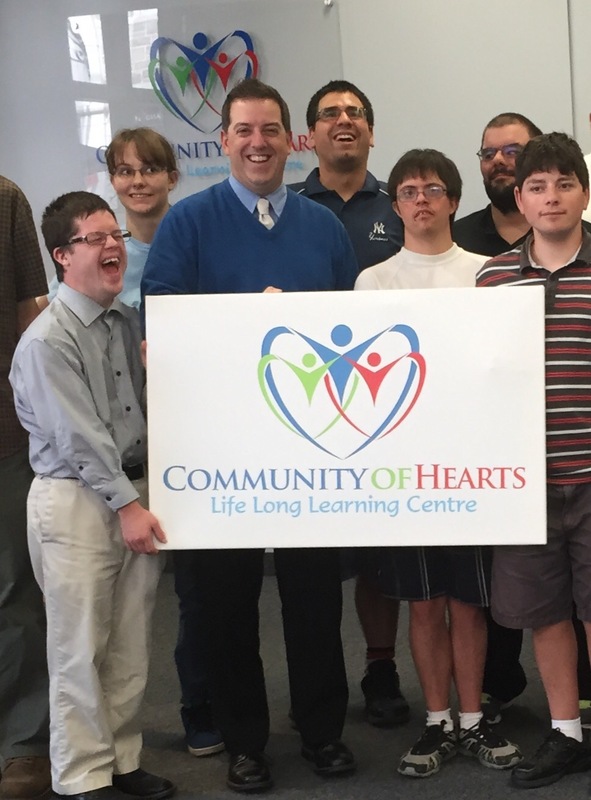 Community Of Hearts has three program areas: An Educational Day Program, a Social Network and a Cottage Crashers Summer Vacation program. I’d like to give a shout out to all the staff and volunteers who make this program run! I found out today that Jason, pictured below, started this service from the basement of his home and has led it to where it is today! ← Dropping the Puck at the #Guelph @GuelphHurricane Game!